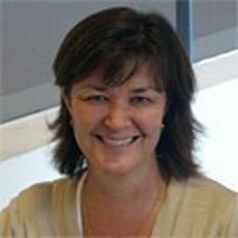 Professor Susan Clark has a highly acclaimed international reputation for her work in cancer epigenetics. Susan is the inaugural Head of the Genome and Epigenetics Division at the Garvan Institute of Medical Research in Sydney, Australia. She graduated in 1982 with a PhD in Biochemistry, University of Adelaide and then spent ten years in the Recombinant Technology Industry before returning to basic research in gene regulation in 1992. Her molecular studies over the last twenty years have initiated profound questions about the importance of epigenetics in early development and in disease, especially in cancer. She has made extensive ground-breaking discoveries relating to DNA methylation patterns in normal and cancer genomes, that have led to the commercialization of new methylation-based tests for early cancer detection. The techniques she pioneered in the early 1990s, including bisulphite sequencing, have revolutionised and now underpin a new era in epigen”omic” research. She was founding member of IHEC (International Human Epigenome Consortium) and led the formation of the AEpiA (Australian Epigenetics Alliance). She has a number of awards including the RPAH Research Medal in 2002, Julian Wells Medal in 2003; “Biochemisch Analytik Preis” for outstanding contribution for Methylation analysis in 2004. In 2006 was elected a Fellow of the World Technology Network for Biotechnology, 2012 was awarded the National Rotary Vocational Award, in 2014 was awarded a NHMRC Senior Principal Research Fellowship and in 2015 was elected as a Fellow of the Australian Academy of Science.